Wishing everyone a wonderful day of remembrance for those who sacrificed for our country! We enjoy our freedom at the price of their courage. It’s been said many times but is so true – Freedom is not free. 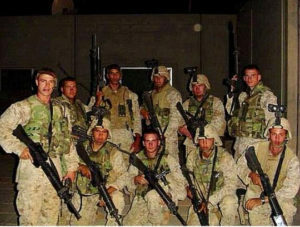 U.S. Marine Zach Gamble is Leon and Tina Robbins’ son and Nikki Gamble-Copeland’s brother. 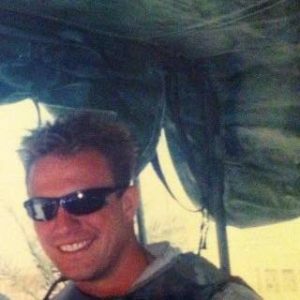 Zach served in the U.S. Marine Corps from 2001 to 2005 as a Corporal/Squad Leader serving two tours in Iraq. We had the honor of knowing him spending many sun filled afternoons cruising around Lake Lanier enjoying great conversation and good times. Simply put, he was the kind of warm, fun, intelligent, selfless person that made our country great. Thank you to Zach and the entire Robbins family. We say “Rest in peace” Zach, and that’s true, but Heaven is also a place of pure joy and exhilaration. 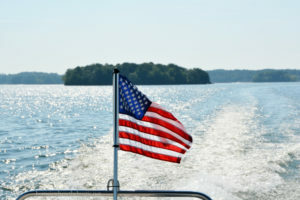 Perhaps a small glimpse of heaven might be the feeling shared with friends on warm, windy, seasprayed afternoons boating on Lanier.